Hospitals, Medical Devices, Pharmacy, Prescriptions, Manufacturing, Catering, and Printing companies depend on CommEx Courier & Logistics for local deliveries in Lexington, Louisville, Frankfort, Nicholasville, Winchester, Richmond, Berea, and cities across Kentucky. Couriers come in many different shapes and sizes. Some services offer bike delivery, others have a variety of vans and trucks available. No matter the type of delivery, the purpose is the same – getting the package to the right place quickly. Some businesses require a faster delivery than others. For them, it is a matter of tight deadlines and important business. It’s no surprise that hospitals and doctors’ offices need supplies quickly. Often, the medical profession needs something fast, with short notice. People’s lives are at stake if they are waiting for an organ transplant to arrive at the hospital. Other important things that hospitals and doctors’ offices often need transported are samples, paperwork, and test results. The healthcare industry requires special considerations when delivering medical equipment, supplies, and medications to patients, long-term care facilities, and other offices. 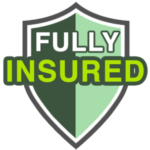 In addition to confidentiality requirements, some supplies need special care in regards to fragileness or specific temperature requirements. These special requirements have made medical courier services a valuable addition to the healthcare industry. Offices that use a medical courier show that they care about patients well-being and are willing to take extra steps to ensure needs are met. Just like any business, manufacturing companies need to get shipments out as soon as possible. A courier service can help manufacturing companies transport their products to the right place the same day, or just in time. Printing companies often have specific deliveries that need to be moved to a new location very quickly or right on time. A courier service is able to guarantee that printing companies’ shipments will make it to their destination safely and on time. 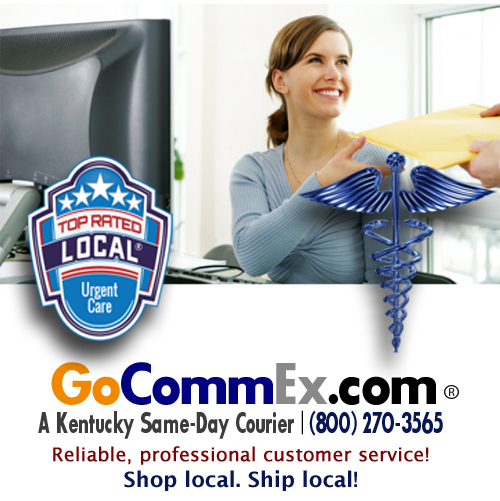 CommEx Courier & Logistics is a Kentucky same day courier provider across the Commonwealth, including Bardstown, Elizabethtown, Frankfort, Georgetown, Lexington, London, Louisville, Morehead, Nicholasville, Richmond, Versailles, and Winchester.